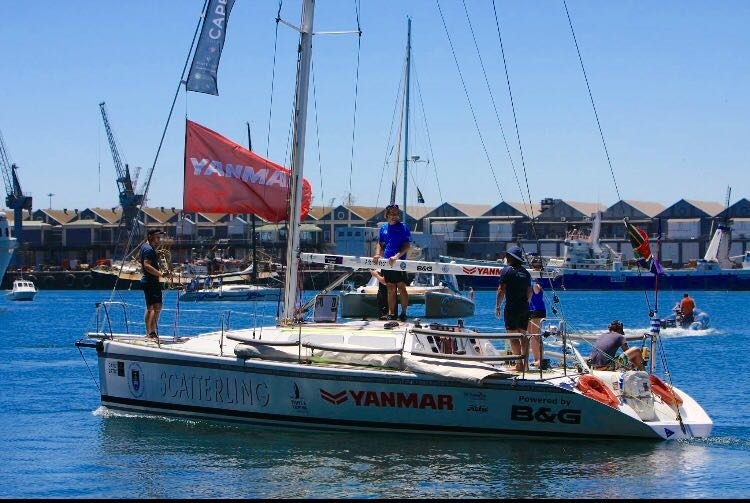 Seascape Marine Services together with Yanmar are proud partner sponsors of the UCT Sailing teams entry into the 2017 Cape 2 Rio. The crew of 5 UCT students did a lot of hard work & campaigning for funds & donations in order to realise this dream and Seascape are proud to have been able to assist them in achieving this. The crew of 5 are doing the crossing on Yacht Scatterling – a 35ft Simons Monohull. Scatterling is powered by a Yanmar 2GM20 x KM2P gearbox (18Hp) fitted in 1996. Seascape Marine wish the crew a safe & enjoyable race!